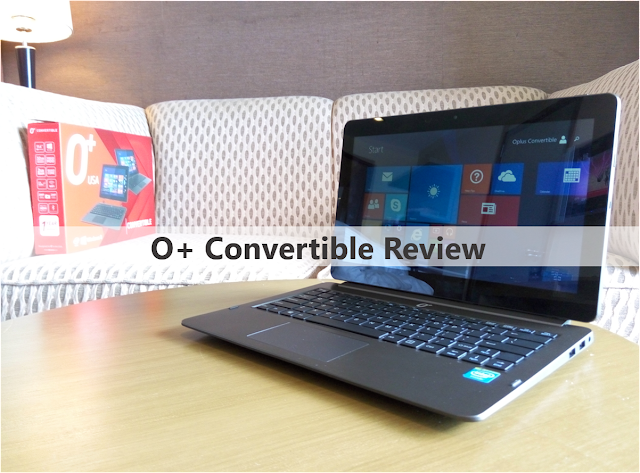 Our O+ Convertible Review is now live. This is the company's entry to the 2-in-1 hybrid PC and Tablet market. Ever wanted to get one? Check out our review right after the fold. Aside from the popular smartphone, tablet and laptop markets that we have today, there's also a brewing space for the 2-in-1 hybrids in the local scene. Cherry Mobile outs several convertibles under its Alpha series since last year; and now, it's O+'s time to join the bandwagon with their O+ Convertible 2-in-1 hybrid. We have been very lucky to check out the device and you can read about our review right after the fold. So does the hybrid market have the chance to make it big in the local tech scene? Maybe. But O+ is now taking its shot with this 11.6-inch device. Basically, the hybrid comes with a 32GB internal storage in tablet form; but when we snug it with its keyboard dock, it could take advantage of its 500GB HDD. Locally, the O+ Convertible poses a shade to the Cherry Mobile Alpha Morph and Alpha Shift; while international competitors come in the names of Microsoft's Surface Pro 3 and Asus Transformer Book series. Just like any other 2-in-1s in the market, the design of the O+ Convertible is quite conventional - a rectangular slab which could attach to a keyboard dock. The tablet is quite heavier than the dock which is a usual scenario knowing the fact that the slate comes with most of the hardware that are included in the package. The dock, on the other hand, contains the 500GB HDD, 2 USB ports and a trackpad. The slate is a matte-finished stylish plastic material which is highlighted by the O+ logo inside a rectangular bar that extends from top to bottom on the back panel. On landscape, the rear panel houses the camera on the upper left; and the speaker grill on the lower right. 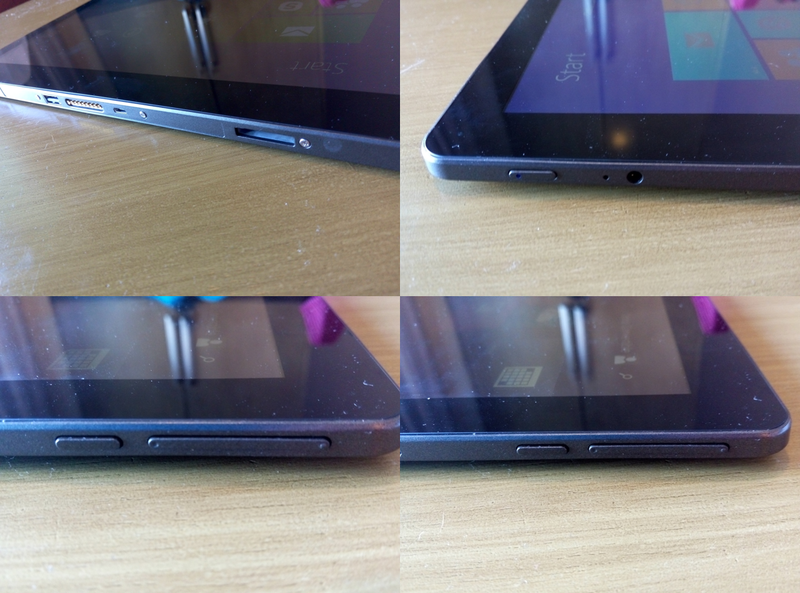 Flipping the device, you'll find the microSD slot and microHDMI port on the right side of the device. The sleep/wake button is situated on the top together with the 3.5-millimeter audio jack and the microphone. The slate is attached to the dock with its magnetic latches found at the bottom side. The fasteners on the dock will also keep the slate on solid ground while mounted. For those of you who are curious that the tablet may fall, it is unlikely due to the fact that it fits right with the dock – the parts are basically attached no matter how or where you hold them. O+ Convertible may be a tad thicker than most of the international offerings but it's easy on the eye. I get the hang of it after using it for several productivity tasks. This 2-in-1 comes with an 11.6-inch HD TFT LCD with a capable 1366 x 768 pixels which, according to O+, comes with 10-point multitouch. The first thing you'll notice in its panel is that it offers more neutral colours. In other words, there's no oversaturation of colours unlike what I've experience in any other HD panels around. However, brightness levels may be an issue in some scenarios, especially when used under the direct sunlight. The O+ Convertible's display is no different compared to other 720p panels in the market. There's nothing special about the screen but it could still deliver the vividness and accuracy needed to come up with a capable display. There's nothing more to say about the O+ Convertible’s camera aside from the fact that it could shoot videos up to 720p HD quality. However, if you need an instant mobile camera out of the O+ convertible's tablet, you could get a decent selfie and regular output qualities. The front camera is always in for the Skype video calls though. Audio quality is also less than stellar. So if you're into video content consumption, the 3.5-millimeter audio jack is your friend. What I like about the Convertible is the fact that it comes with an efficient keyboard. I tried hitting 75 words per minute on my first round of 10fastfingers.com test. The trackpad is also sensitive to touches. Performance-wise, the O+ Convertible delivers when it comes to my day to day task. And when I say day-to-day, I mean processing documents over Microsoft Word, editing pictures using in-house editing tools and browsing. The quad-core Intel Atom processor is simply a worker when it comes to normal to moderate tasks; intensive gaming, on the other hand makes it choke along the process. Plus, its 2GB of RAM could only manage a few tricks when it comes to browsing. Opening multiple tabs in Google Chrome, also makes the processor a bit sluggish especially if you’re hitting a 1080p YouTube video on one tab. In our standard battery test, O+ convertible manages to squeeze its juice for 4.5 hours. This includes 30-minute browsing, 30-minute video playback, 15-minute audio streaming and 30-minute gaming. Most of the time, we were exploring the device. The rest of the time, the tablet is in standby mode. This WiFi-only 2-in-1 device comes with a complete set of ports - microUSD, microHDMI and USB 2.0 to name a few. Though the tablet left the cellular connectivity in the cutting room, it's always a breath of fresh air to know that it offers other connectivity alternatives for us to transfer files. One thing I like about the O+ Convertible is the software. It comes with a relatively clean Windows 8.1 which is, of course, a free version of the OS. There are no annoying bloatwares; and most of all, Windows 8.1 comes with the latest features and titles in the Windows Store. Like any other Windows 8 devices, you'll be treated with both desktop and Metro interface. The O+ Convertible comes with an asking price of Php 15,995. This 2-in-1 hybrid has portability and productivity as its marquee features. With these deal-makers, the device might have a shot in eating a significant part of the local netbook market. Comparing it to other 2-in-1s, O+ convertible is not a stunner. However, it being a legit worker in terms of horizontal display angle, inclusion of a beefy 500GB HDD and sturdy construction makes it a hybrid that deserves a buyer's second look. Of course, there's no overlooking the fact that it may look bulky compared to other internationally branded hybrids, but the combination of a good hardware and neat software could justify the thought that it is one of the better choices around.